When I was 10 years old, my family went to Philadelphia to visit my grandmother. On our second day there, my grandmother, Vivian, received a phone call that changed my life. Her friend, who worked at a television station, called to say she had some extra tickets to a television show, featuring Muhammad Ali! My grandmother secured four tickets, and off we went to the television station to see The Champ! Not only did we have tickets, but front row seats that surrounded a boxing ring corner. During that ring size interview, Muhammad Ali shared three key points. First, in order to win in life, it is necessary to have a dream and imagination.He was asked how he revolutionized the boxing industry. Ali spoke of how he dreamed of becoming a great boxer; and then used his imagination to create a personality that people either loved or hated. Those who loved him came to see him win; those who hated him came to see him lose. And in the meantime, every seat was taken!At that moment, I realized I needed to start to dream and to use my imagination. Secondly, in order to be a champion (a real champion) it takes courage. You must have courage to do the right thing; and courage to take a positive stand and then, stand on your convictions. He said courage was necessary to love people who might not love you; and courage to treat people fairly! Then, as he finished the interview he said, “Who wants to box the champ?” I jumped out on my seat and jumped in the ring with Muhammad Ali! That was truly a day that changed my life! Today, I celebrate Muhammad Ali and thank him for pouring into a young 10-year-old boy and giving him a new mindset about winning and about what it really means to be a champion in life! God Bless You, Muhammad Ali! You truly made a difference! Rest in Peace! Dr. Willie Jolley is the author of several international best-selling books including It Only Takes A Minute To Change Your Life, A Setback Is A Setup For A Comeback, Turn Setbacks Into Greenbacks and An Attitude of Excellence, which was endorsed by Dr. Stephen Covey. You can learn more about Dr. Willie Jolley by visiting his official website. Click here to go there now. Hey Buddy!, I found this information for you: "A Tribute to Muhammad Ali by Willie Jolley". 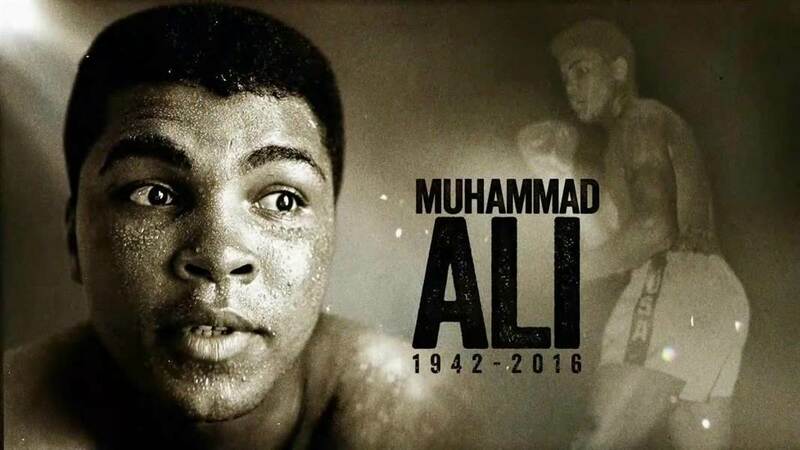 Here is the website link: https://blackmeninamerica.com/a-tribute-to-muhammad-ali-by-willie-jolley/. Thank you.